Match ends, Fenerbahçe 1, Molde 3. Second Half ends, Fenerbahçe 1, Molde 3. Foul by Michal Kadlec (Fenerbahçe). Ola Kamara (Molde) wins a free kick in the defensive half. Attempt missed. Ozan Tufan (Fenerbahçe) right footed shot from the centre of the box is close, but misses to the right. Attempt blocked. Alper Potuk (Fenerbahçe) right footed shot from the centre of the box is blocked. Assisted by Michal Kadlec. Attempt blocked. Ozan Tufan (Fenerbahçe) right footed shot from the centre of the box is blocked. Attempt blocked. Michal Kadlec (Fenerbahçe) right footed shot from the centre of the box is blocked. Assisted by Bruno Alves with a headed pass. Corner, Fenerbahçe. Conceded by Daniel Hestad. Attempt blocked. Ozan Tufan (Fenerbahçe) right footed shot from outside the box is blocked. Assisted by Caner Erkin. Attempt missed. Ozan Tufan (Fenerbahçe) right footed shot from the centre of the box misses to the left. Assisted by Nani. Foul by Caner Erkin (Fenerbahçe). Joona Toivio (Molde) wins a free kick in the defensive half. Substitution, Molde. Joona Toivio replaces Mattias Moström. Attempt missed. Nani (Fenerbahçe) left footed shot from outside the box is high and wide to the left. Assisted by Volkan Sen.
Second yellow card to Mohammed Elyounoussi (Molde) for a bad foul. Sener Ozbayrakli (Fenerbahçe) wins a free kick in the attacking half. Foul by Mohammed Elyounoussi (Molde). Ethan Horvath (Molde) wins a free kick in the defensive half. Substitution, Molde. Etzaz Hussain replaces Eirik Hestad. Corner, Fenerbahçe. Conceded by Mohammed Elyounoussi. 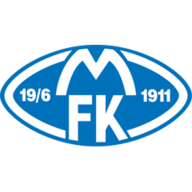 Delay in match Martin Linnes (Molde) because of an injury. Alper Potuk (Fenerbahçe) is shown the yellow card for a bad foul. Foul by Alper Potuk (Fenerbahçe). Martin Linnes (Molde) wins a free kick in the defensive half. Bruno Alves (Fenerbahçe) wins a free kick in the defensive half. Foul by Ola Kamara (Molde). Attempt saved. Nani (Fenerbahçe) right footed shot from long range on the right is saved in the bottom left corner. Assisted by Uygar Mert Zeybek. Substitution, Fenerbahçe. Uygar Mert Zeybek replaces Raul Meireles. Substitution, Fenerbahçe. Alper Potuk replaces Robin van Persie. Attempt saved. Knut Olav Rindaroy (Molde) left footed shot from the left side of the box is saved in the top centre of the goal. Assisted by Mohammed Elyounoussi. Substitution, Molde. Ola Kamara replaces Tommy Hoiland. Goal! Fenerbahçe 1, Molde 3. Martin Linnes (Molde) left footed shot from outside the box to the bottom right corner. Assisted by Ruben Gabrielsen. Attempt saved. Harmeet Singh (Molde) right footed shot from the left side of the box is saved in the bottom left corner. Tommy Hoiland (Molde) hits the left post with a right footed shot from the right side of the box. Assisted by Eirik Hestad. Nani (Fenerbahçe) wins a free kick in the defensive half. Foul by Mattias Moström (Molde). Substitution, Fenerbahçe. Fernandao replaces Mehmet Topal. Attempt saved. Tommy Hoiland (Molde) right footed shot from the left side of the box is saved in the bottom right corner. Assisted by Mohammed Elyounoussi. Corner, Fenerbahçe. Conceded by Mattias Moström. Goal! Fenerbahçe 1, Molde 2. Mohammed Elyounoussi (Molde) header from the centre of the box to the bottom left corner. Assisted by Tommy Hoiland with a cross. Attempt missed. Ozan Tufan (Fenerbahçe) right footed shot from outside the box misses to the left. Assisted by Mehmet Topal. Attempt missed. Nani (Fenerbahçe) right footed shot from the right side of the box is high and wide to the right. Assisted by Mehmet Topal. Michal Kadlec (Fenerbahçe) wins a free kick in the defensive half. Foul by Tommy Hoiland (Molde). Attempt missed. Harmeet Singh (Molde) right footed shot from outside the box is close, but misses to the right. Assisted by Mattias Moström. Attempt saved. Mehmet Topal (Fenerbahçe) right footed shot from outside the box is saved in the top centre of the goal. Assisted by Caner Erkin. Second Half begins Fenerbahçe 1, Molde 1. First Half ends, Fenerbahçe 1, Molde 1. Offside, Fenerbahçe. Caner Erkin tries a through ball, but Robin van Persie is caught offside. Offside, Fenerbahçe. Raul Meireles tries a through ball, but Robin van Persie is caught offside. Attempt blocked. Caner Erkin (Fenerbahçe) left footed shot from outside the box is blocked. Ozan Tufan (Fenerbahçe) wins a free kick in the attacking half. Foul by Eirik Hestad (Molde). Goal! Fenerbahçe 1, Molde 1. Nani (Fenerbahçe) right footed shot from the centre of the box to the bottom left corner. Assisted by Raul Meireles with a through ball. Foul by Daniel Hestad (Molde). Goal! Fenerbahçe 0, Molde 1. Tommy Hoiland (Molde) converts the penalty with a right footed shot to the high centre of the goal. Nani (Fenerbahçe) is shown the yellow card. Penalty conceded by Ozan Tufan (Fenerbahçe) after a foul in the penalty area. Penalty Molde. Daniel Hestad draws a foul in the penalty area. Corner, Molde. Conceded by Robin van Persie. Tommy Hoiland (Molde) wins a free kick on the right wing. Attempt missed. Ozan Tufan (Fenerbahçe) right footed shot from outside the box is too high following a corner. Corner, Fenerbahçe. Conceded by Ethan Horvath. Attempt saved. Nani (Fenerbahçe) left footed shot from outside the box is saved in the bottom left corner. Assisted by Sener Ozbayrakli. Attempt blocked. Volkan Sen (Fenerbahçe) right footed shot from outside the box is blocked. Assisted by Ozan Tufan. Attempt saved. Harmeet Singh (Molde) right footed shot from outside the box is saved in the top left corner. Assisted by Tommy Hoiland. Mohammed Elyounoussi (Molde) is shown the yellow card for a bad foul. Mehmet Topal (Fenerbahçe) wins a free kick in the defensive half. 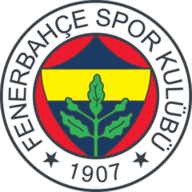 Mehmet Topal (Fenerbahçe) is shown the yellow card for a bad foul. Foul by Mehmet Topal (Fenerbahçe). Harmeet Singh (Molde) wins a free kick in the defensive half. Attempt saved. Volkan Sen (Fenerbahçe) header from the centre of the box is saved in the centre of the goal. Assisted by Nani. Foul by Volkan Sen (Fenerbahçe). Attempt missed. Nani (Fenerbahçe) left footed shot from the left side of the box is too high. Assisted by Caner Erkin. Corner, Molde. Conceded by Bruno Alves. Mattias Moström (Molde) wins a free kick in the defensive half. Offside, Fenerbahçe. Nani tries a through ball, but Robin van Persie is caught offside. Attempt missed. Tommy Hoiland (Molde) right footed shot from the right side of the box misses to the left. Assisted by Daniel Hestad. Attempt saved. Robin van Persie (Fenerbahçe) left footed shot from the centre of the box is saved in the centre of the goal. Assisted by Nani. Offside, Fenerbahçe. Raul Meireles tries a through ball, but Sener Ozbayrakli is caught offside. Attempt missed. Tommy Hoiland (Molde) header from the centre of the box is close, but misses to the right. Assisted by Eirik Hestad with a cross. Attempt saved. Vegard Forren (Molde) header from the centre of the box is saved in the top left corner. Assisted by Eirik Hestad with a cross. Corner, Molde. Conceded by Caner Erkin. Attempt missed. Ozan Tufan (Fenerbahçe) right footed shot from the centre of the box misses to the left. Assisted by Sener Ozbayrakli with a cross. Volkan Sen (Fenerbahçe) wins a free kick on the right wing. Foul by Harmeet Singh (Molde). Attempt missed. Ozan Tufan (Fenerbahçe) left footed shot from outside the box misses to the right. Assisted by Nani. Attempt blocked. Nani (Fenerbahçe) right footed shot from outside the box is blocked. Assisted by Volkan Sen. Corner, Fenerbahçe. Conceded by Vegard Forren. Attempt blocked. Volkan Sen (Fenerbahçe) right footed shot from the centre of the box is blocked. Assisted by Robin van Persie. Attempt missed. Robin van Persie (Fenerbahçe) left footed shot from the centre of the box misses to the right. Assisted by Caner Erkin.